If you’re a keen social media marketer, you’re already keeping a close eye on Instagram. The visual media giant has established itself as one of the prime social marketing platforms, arguably edging out old time favorite Twitter and close competitor Snapchat. The best time to have created your Instagram marketing strategy was yesterday (or last month, or last year) - but the second best time is today. In this how-to guide, I’ll teach you how to craft your Instagram marketing strategy from start to finish, so you can maximize your returns on the platform. 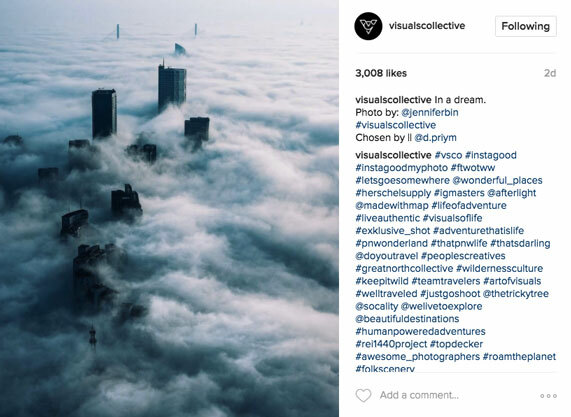 Your content strategy is the core and foundation of your Instagram marketing strategy. When it comes down to it, if the content you post isn’t engaging or relevant to your target market, you’ll have a tough time being successful on Instagram. 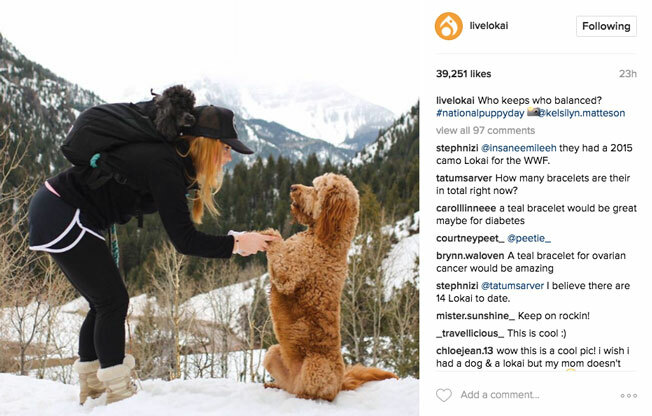 Product-centric: This is generally the most common Instagram marketing strategy. Having a product-centric content focus means most of the photos and videos you post feature your products. It’s a straightforward way to market on the platform - basically, you’re telling your followers “Hey! Look at the awesome stuff we sell,” in the hopes that they’ll be excited enough about it to buy. 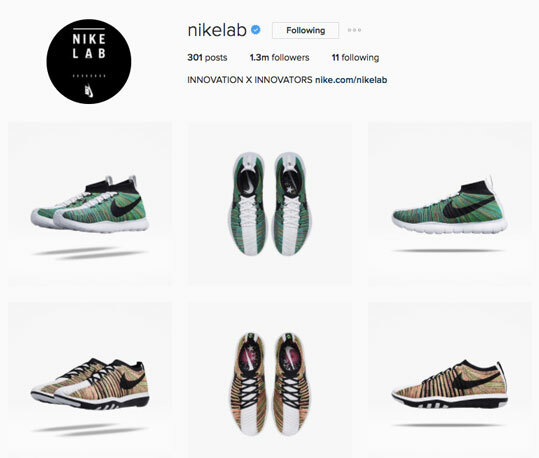 As you can see in the Nikelab example below, even a simple product-centric focus can help drive success. Culture-centric: Sometimes, your product isn’t all that exciting or unique, or your brand just has a really strong company culture. You don’t always need to use Instagram with the goal of monetizing it - it can be a great way to establish your brand identity on social media. 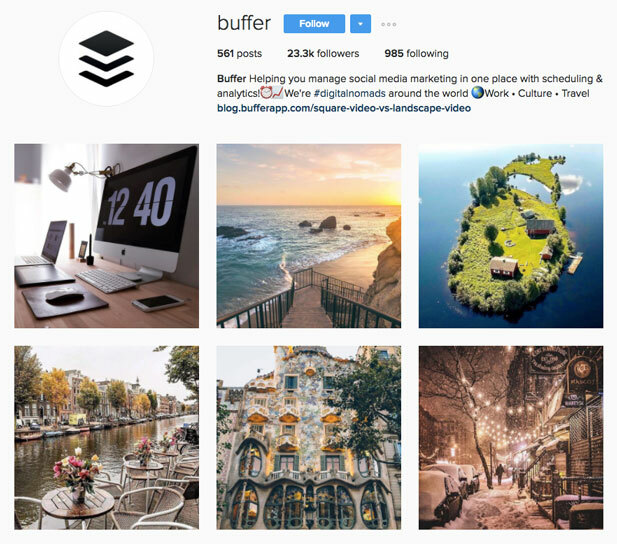 Companies like Buffer do a great job of showing their followers what they’re all about through their Instagram profile. A mix: Of course, you can balance these two strategies. 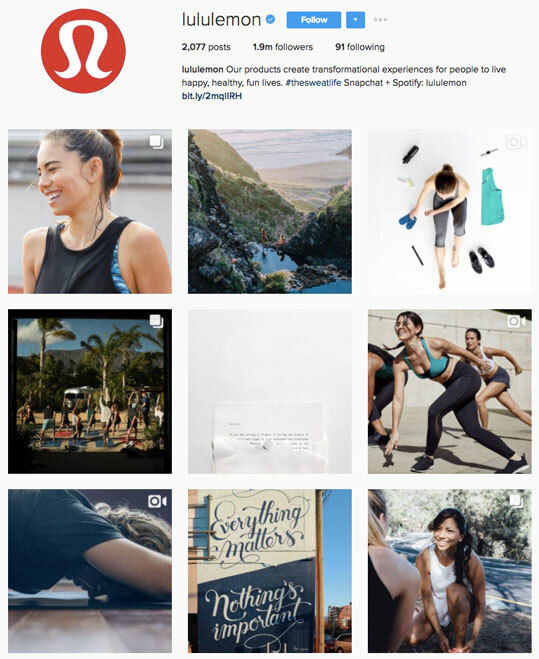 If you do it right, you’ll find you’re still able to maintain a consistent and cohesive Instagram feed, Lululemon is a great example of this - even their product posts show off what they’re all about in terms of athletic culture. Once you’ve fleshed out your content strategy, you need to determine a content schedule. Instagram’s feed is no longer totally chronological. Instead, it rewards engagement, ordering posts on users’ news feeds based on content from accounts they often interact with. Posting consistently increases the visibility of your posts, which gives followers more opportunities to engage. It also means you’ll remain a source of fresh content, which helps to entice people into following you and pull people away from unfollowing. 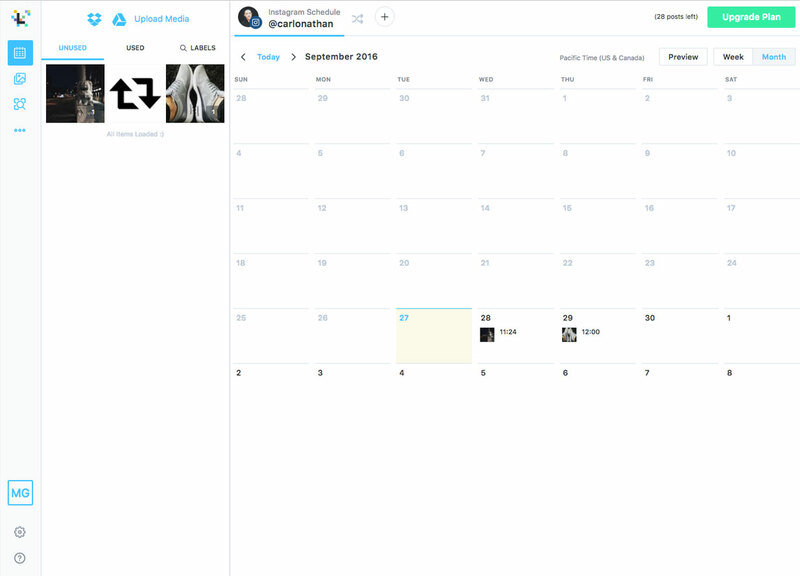 Use a tool like Buffer or Later to schedule your posts in advance. 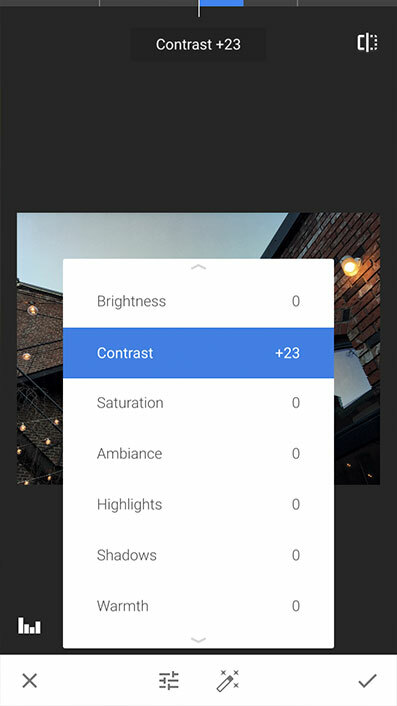 This allows your content creator some room to breathe, since they won’t need to be editing or taking photos right before they’re meant to be posted. This is especially important for small businesses without a dedicated social media manager, as there often just isn’t enough time for a small business marketer to be incredibly active on Instagram. Post frequency is all up to you, but whatever it is, keep it maintainable. If you’ve only got enough content in a month for 10 posts, space them out so you’re posting every 3 days or so - you don’t want to post daily for half the month and then leave your profile high and dry for the next two weeks. Though post timing matters less than ever based on Instagram’s current algorithm, I still recommend you post at times when you’ll receive the most engagement. This depends highly on your target market. Try to identify the times they’re most likely to be active on social media - and as always, test until you find what works best. Really, there’s a lot to cover here, so I’ll just give you a quick rundown. When it comes down to it, Instagram is a social media platform that’s driven by strategic content creation. Users engage with media they find engaging or interesting, and that means you’re rewarded for posting awesome stuff. Quality, quality, quality: Look, I know - not everyone can afford a two thousand dollar DSLR or a professional lighting rig. It’s all good! Just try to maximize the quality of the media you post with the equipment you already have on hand. Modern smartphones generally have good enough cameras to get some awesome shots. Photos should be focused and well-lit - those two things go a long way towards making them look great. Editing: Use an app like VSCO, Snapseed or Enlight to make your photos look clean and professional. Edit sparingly - the best edits are those that are barely noticeable. It’s easy to go over the top, so look at some of your favorite Instagram accounts for inspiration before you get all filter-happy. I recommend using the same set of filters (one or two) for all of your photos. This helps you create a cohesive theme for your Instagram marketing. 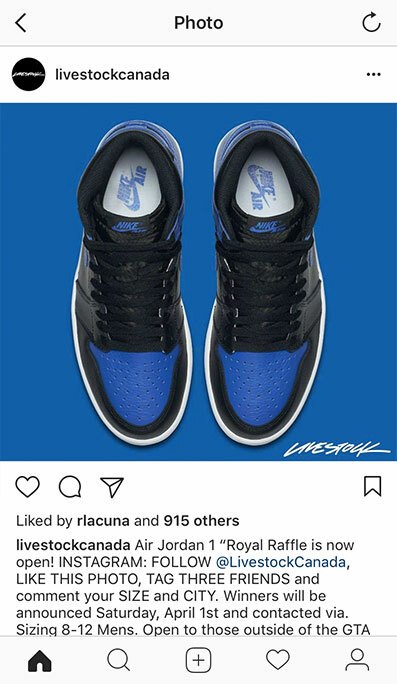 Captions: If you’re looking to promote your products using Instagram, make sure your captions are action oriented. Direct followers to somewhere they can purchase your products so you can monetize your Instagram efforts. Hashtags: Hashtags are particularly effective on Instagram, as they’re great for reaching untapped portions of your target market who search for new content using hashtags. You can opt for popular hashtags (#love, #friends), product-related hashtags (#food, #tacos) or my personal favorite, local hashtags (#vancouver, #vancouverfoodie). Adding hashtags increases your exposure and helps you increase engagement. Instagram has been making large strides when it comes to recent app updates, so I’ll go over them quickly here. The first and arguably most important of these updates is Instagram Stories. 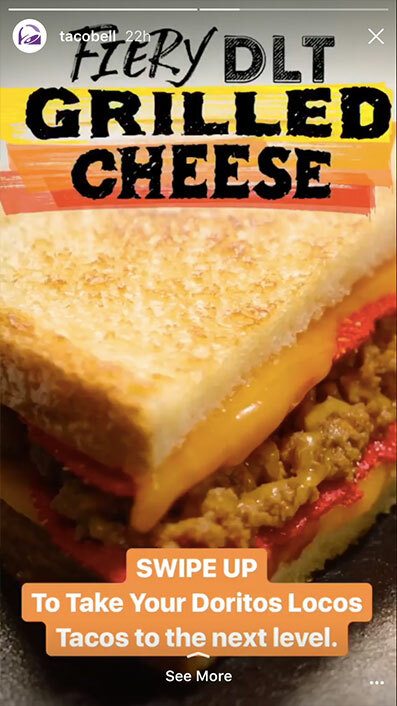 Putting aside the fact that it’s a blatant Snapchat ripoff (imitation is the sincerest form of flattery, and all that), Instagram Stories provides a huge opportunity for you to interact with your target market in a way that’s more genuine and less confined by the cage of “polished” content Instagram users tend to favor. Using Stories is awesome because it puts your account at the top of your followers’ news feeds, no matter what. Most recent stories show up first, but they’re always at the top of the feed. Posting on your Story frequently with quick updates or even discounts can boost the exposure you get with your followers. 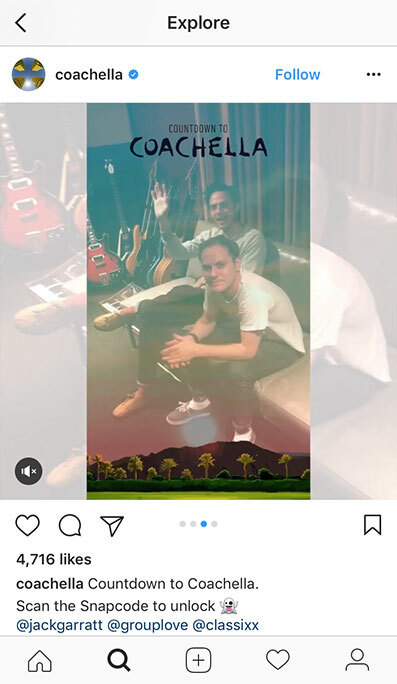 The next is Instagram Live. Though it’s not the best strategy to use if you don’t already have at least a small legion of loyal followers, it can be incredibly effective if you do. In a similar vein to Stories, Live videos show up front and center on your followers’ feeds, before everyone’s Stories and above everyone’s posts. Use Instagram Live to preview a new product launch, or to host a Q&A with your fans. It connects you directly with the people who engage with you on social media, making it an ideal way to establish your brand identity and create connections with followers. Finally, Instagram released their Carousel media type for all users. This means you’re able to combine multiple pieces of content - meaning photos, videos and yes, Boomerangs too - into a single post. Though I don’t personally favor them, they’re great for posting multiple photos of products (think different color options) or even telling a story. One thing many business owners and traditional marketers have trouble wrapping their heads around is the idea that they can drive real business results (read: $$$) through social media. Though this is a legitimate concern, there’s many ways you can optimize your Instagram profile for monetization. CTAs… CTAs everywhere: If you want to turn your Instagram followers and social media traffic into real sales, you need to show these people where they can buy your product. Make sure your bio directs followers to the link in your profile (“See our latest products at the link below”), and add a CTA to your captions as well (“Like what you see? Shop the link in our bio”). 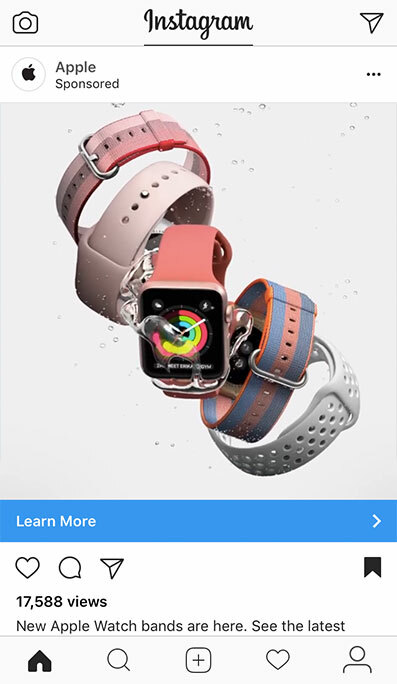 Monetization platforms: I’m referring to platforms like Like2Buy and Have2Have.It, which help you create a page that allows you to link the photos in your Instagram feed to products or other pages on your website. This is ideal, as it reduces the barriers keeping your Instagram followers from becoming customers. Discounts and promotions: Though Instagram is a great marketing platform, it can be tough to get followers to act and actually buy one of your products. 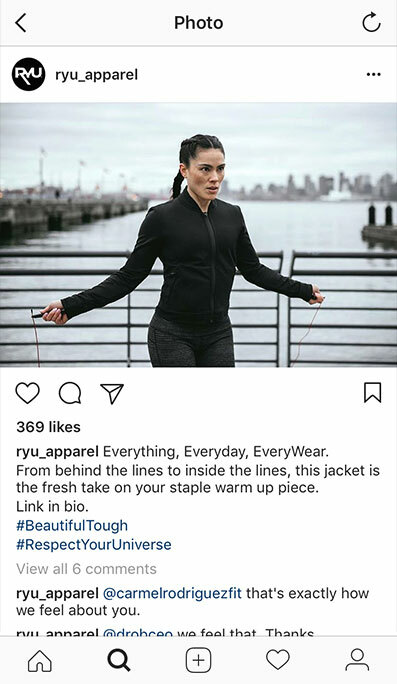 One way to jolt them out of their inactivity is to feature an Instagram-specific limited-time offer, like a coupon or discount. Post a photo with your coupon code (or discount link) and a CTA that tells visitors to act quickly. 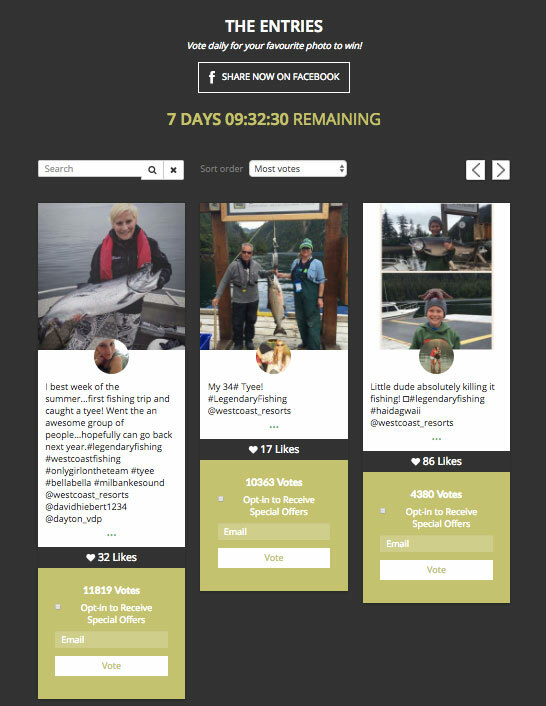 Another great way to use Instagram in a way that directly affects your business is by running a contest. They get followers excited about your products, and can help promote them while giving your followers an incentive to engage. There’s a ton of different ways to run contests on Instagram, and I’ll outline a few below, but I will mention that the most effective contests are those that help your business generate sales. The best avenue for this is through lead generation: getting contact information from the people who enter your contest so you can market to them in the future through email. Comment-to-enter: This is the most common type of contest I see on Instagram, and with good reason. Comment-to-enter contests are the easiest to enter, so they maximize the number of people who will participate. Generally, these contests require entrants to like the photo, follow the account (or accounts) hosting the contest, and tag two friends in the comments. This drives massive engagement, helps boost follower count, and helps spread the word. Sweepstakes: Using a third-party sweepstakes app, you can turn Instagram traffic into leads for your business. Though these are tougher to enter, they’re more effective in the long run because they allow you to market to your entrants more efficiently in the future. Photo contest: You can run these one of two ways. The first, easier method is to get entrants to post a photo with a certain theme using a specific hashtag, which you’ll then compile and choose a winner for. This is great because it’s simple to do and it helps greatly to spread the word about your business. You can also use a photo contest app to run these contests with the added bonus that you’ll be able to collect entrants’ email. 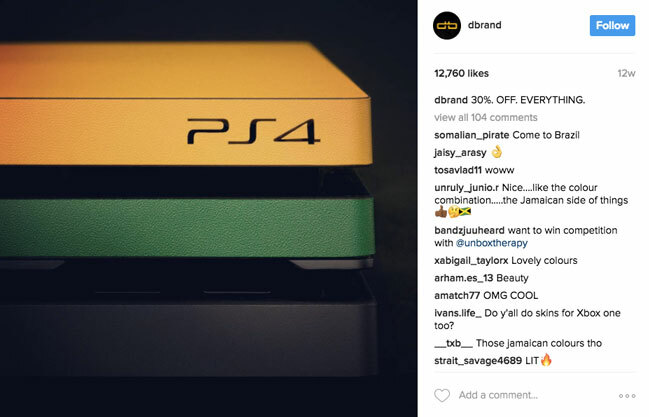 To learn more about Instagram contests, check out our article "Instagram Hashtag Contests: Examples and Best Practices for Marketers." You can’t have a complete guide to Instagram marketing strategy without talking ads. 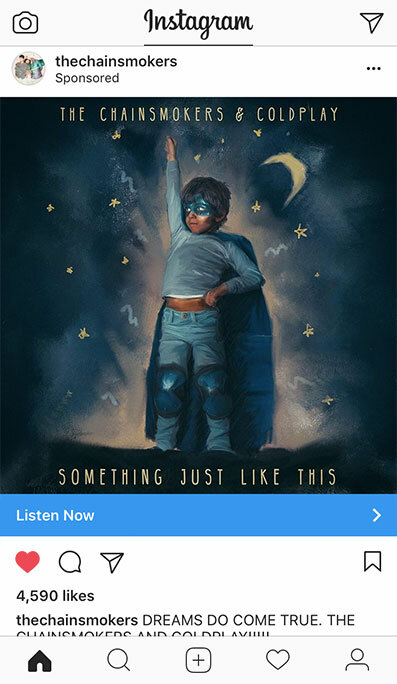 When push comes to shove, ads are the best way to guarantee your Instagram marketing efforts reach your target market. While you might be hesitant to pay for ads on a platform that can be hard to monetize, know this: Instagram Ads are, bar none, the best way to reach the people in your target market. As much as you can hope your content gets shared, nothing’s guaranteed. With ads, you can serve ads to the people they’re meant for without worrying about whether or not they’ll be seen. 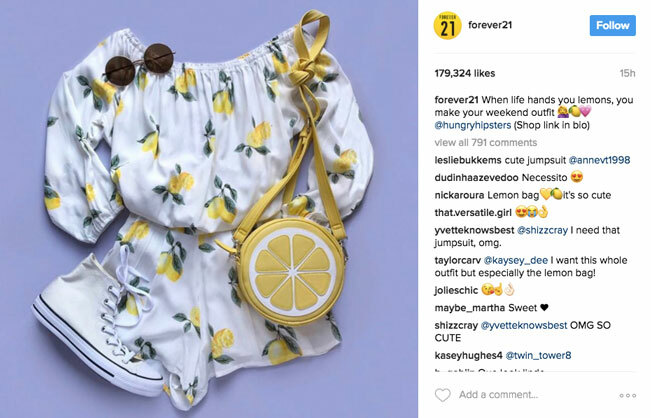 Use eye-catching imagery: It’s both a blessing and a curse that Instagram Ads show up in users’ news feeds like any other post does. On one hand, they’re native - they don’t feel like ads, meaning they’re more friendly - more digestible - with regards to user experience. On the other hand, they look like any other post, and this means they’re just as likely to be scrolled past as any other post. Creating and posting media that’s likely to grab people’s attention gives your ads the best chance at success. 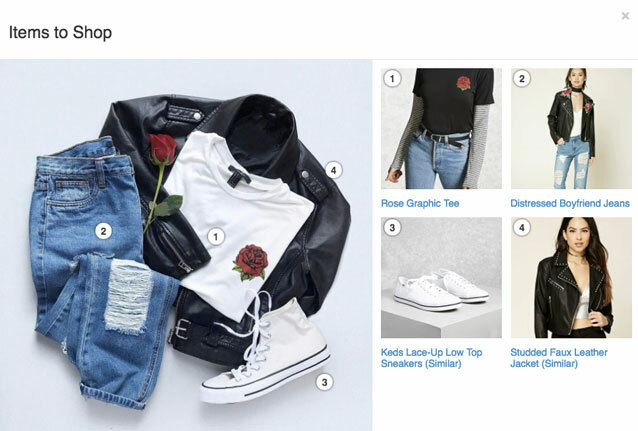 Target precisely: This is Instagram Ads’ big selling point. Depending on your ad and your product, make sure you create an ads audience that’s precise so you can maximize the performance of your ads. Don’t try to create a “catch-all” ad that hits every part of your target market - instead, identify different segments within it and target those individually. Create an ad-specific landing page: Look, you can send people right to your website, but you’ll be way better off creating a landing page that directly matches what you’re mentioning in your ad. Choose the correct CTA: One advantage ads do have over regular posts is the ability to add a CTA to your ad. Choosing the correct CTA based on your business objective will give you the extra push you need to achieve your conversion goal. There you go - a complete how-to guide to developing an Instagram marketing strategy that’s fit for 2017. Instagram has become my favorite social channel lately - it’s less cluttered than Facebook and still seems to drive real engagement between brands and consumers. I’m excited to see where the platform takes us in the years ahead. As always, if you’ve got questions or I’ve missed anything in this guide, feel free to let me know in the comments below. Good luck with your Instagram marketing!